DMC's crochet thread Spécial Dentelles is made out of 100% double-mercerised combed cotton. Composed of 6 strands, this thread is exceptionally strong and has a beautiful glossy finish. It is perfect for delicate and intricate lace work and for creating exquisite borders on handkerchiefs, tablemats, collars, gloves and others clothing accessories. 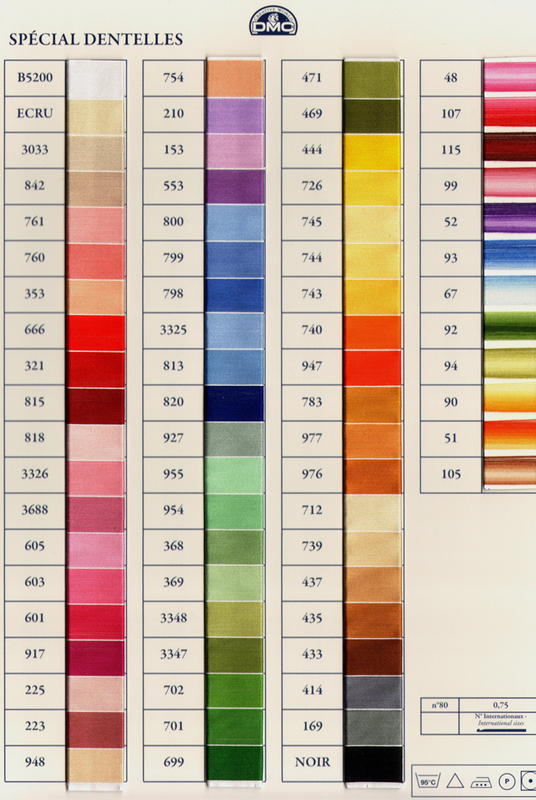 The Spécial Dentelles thread comes in a 5g ball in size 80 and is available in a palette of 56 colours including 13 shaded and 2 multicoloured threads.